Diamond Details: Round brilliant cut white diamonds, of F color, VS2 clarity, of excellent cut and brilliance, weighing 8.50 carats total. 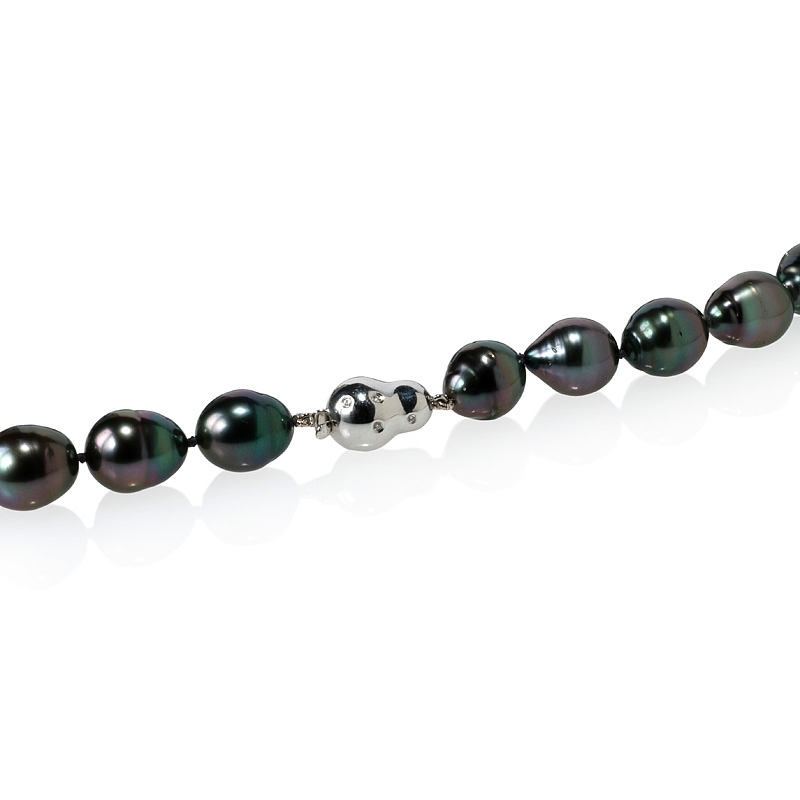 Pearl Details: 21 Tahitian black peacock green pearls in pear shapes, a very high luster, measuring 12 to 14mm in diameter. 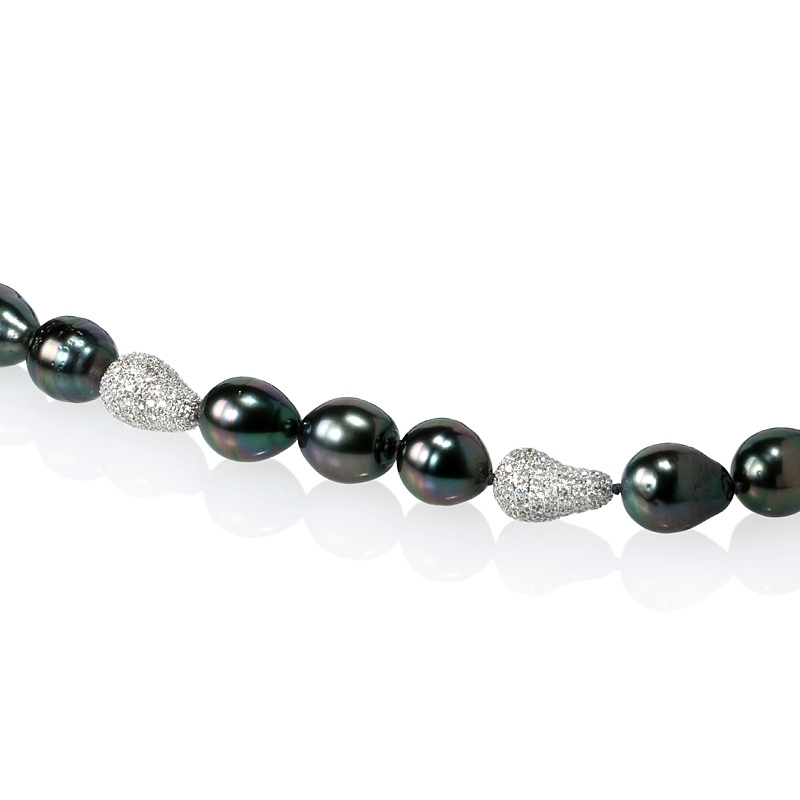 Necklace details: 14k white gold. Measurements: 17.5 Inches in length and 14mm at its widest point. 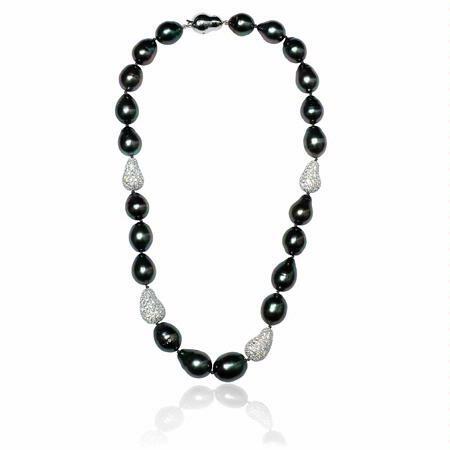 This one of a kind 14k white gold necklace, designed in Italy, contains 21 tahitian black peacock green pearls in pear shapes, a very high luster, measuring 12 to 14mm in diameter, with round brilliant cut white diamonds, of F color, VS2 clarity, and of excellent cut and brilliance, weighing 8.50 carats total. 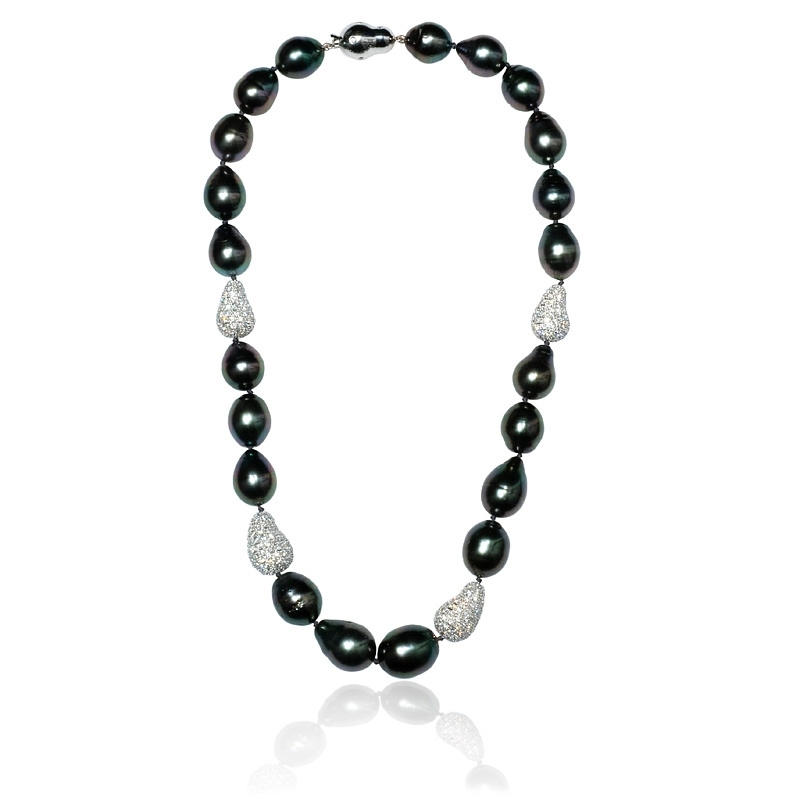 This diamond necklace measures 17.5 inches in length and 14mm at the widest point.